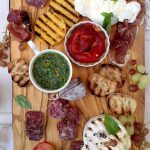 How to Make a Bruschetta Bar – Entertaining the Italian Way! 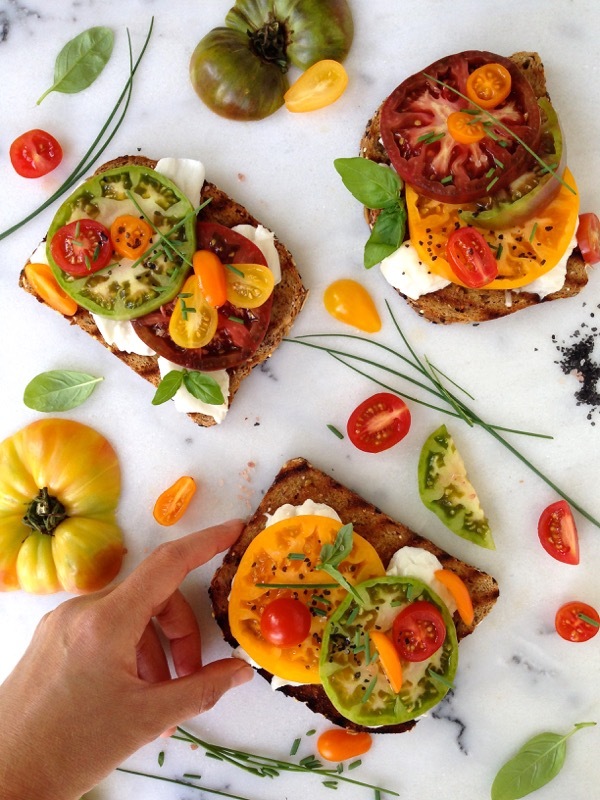 Just in case our love and obsession with bruschetta and all things tomato isn’t obvious on this blog. 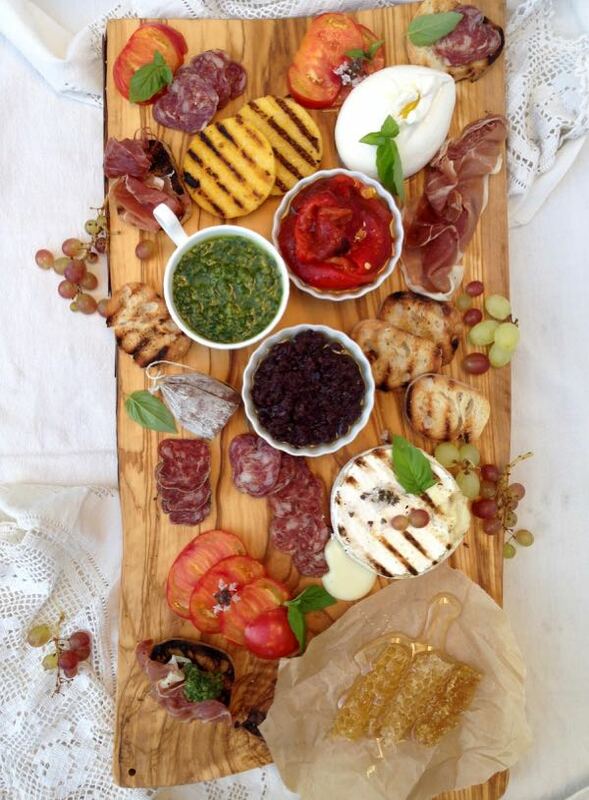 And because long hot summer days call for for garden parties and weddings, I present you with the ultimate Bruschetta Bar! 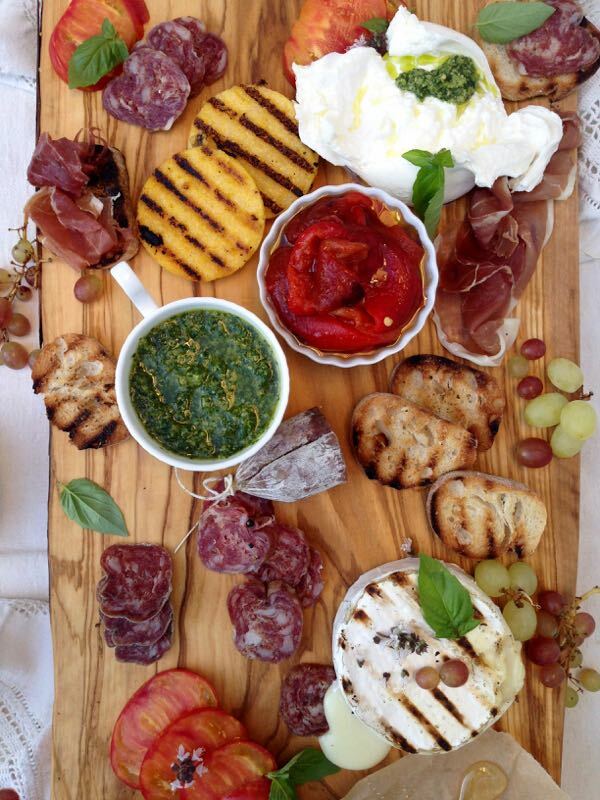 An Italian antipasto platter of sorts, the most fun way to entertain If you ask me. There isn’t an exact recipe, as it all depends on the region you live in and what is available there. For us things don’t change too much because of the climate that we live in, but honestly you should try to work with whatever is in season in your area. I gave mine a Tuscan flair with the prosciutto (Tuscan ham), grapes and sheep’s milk ricotta. I must have said it a dozen times before, but seriously you guys, make sure to grill your bread not toast it! 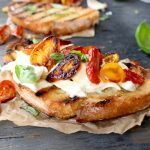 Bruschetta is literally grilled bread rubbed with a garlic clove and drizzled with olive oil. Then you load up the goodies on top. P.S. Don’t forget to pick up some nice bottles of Tuscan vino! On a hot cast iron griddle grill the bread sliced until nice charred marks form. 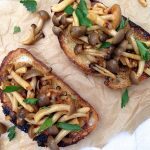 Rub one side of each slice of bread to the garlic clove to your liking. Brush all the grilled bruschetta with some of the olive oil and sprinkle with a pinch of sea salt. To grill the polenta rounds, brush them with olive oil before adding them to the hot grill, making sure they don’t stick. Carefully use a flat spatula to flip them. 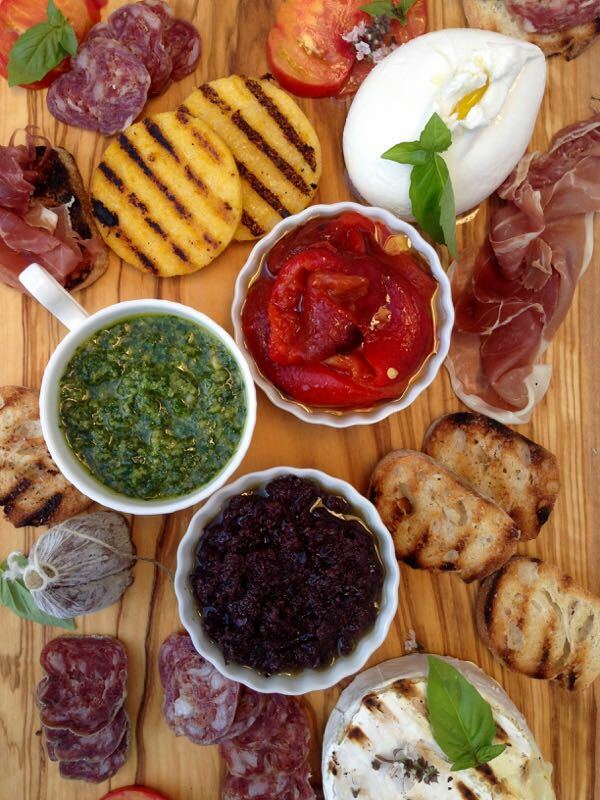 Arrange them grille polenta rounds and crostini on a wooden board and assemble your bruschetta bar. Add the roasted peppers, sliced soppresata, prosciutto, roasted peppers and sliced tomatoes. Sprinkle the bruschetta bar with some fresh basil just before serving and enjoy ! To make your own black olive tapenade, just buzz up some pitted olives with olive oil and garlic in the bowl of a small food processor, now you have home made tapenade ! yummy bruschetta! love the polenta idea! 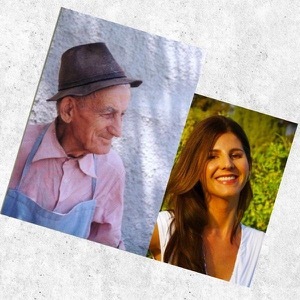 Thanks Claudia, polenta bruschetta is so good with the goat cheese, perfect match. What a great idea for entertaining!! I love the idea of a bruscetta bar, especially when it contains burrata. My favorite! Yes!! This is my kind of entertaining! Picky food, lots of choices, great wine – simple perfection. I can forget about a meal and just give me bruschetta! Instead of stars I think you need drools at least 5+!! hahaha you crack me up Marisa, but I’m so with you. I don’t even need dinner, bruschetta is what I can live on and never complain. Amazing!! I love the honey comb! Actually I love everything on this board!! Including the wooden board itself!! Thanks Cassandrea, I love that wooden board myself, it is my olive wood daily chopping board, never leaves my kitchen counter. 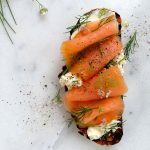 This looks like one big platter of heaven – I loooove bruschetta and I especially love how versatile it is! Thank you, just nature showing off again, I just put it on a wooden board ha! Beautiful! 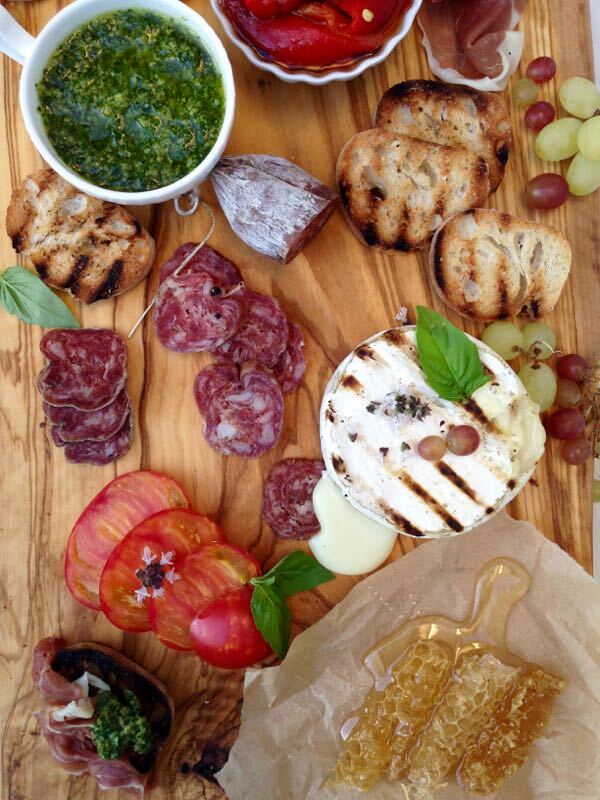 I did this for my daughters engagement party with the addition of homemade Ricotta….fabulous party idea! Everything about this looks delicious! I love your rustic approach to food. I am loving this bar! I’d frequent it way before one with a liquor license! 😉 Seriously, all of these ingredients look SO GOOD! Haha me too, I rarely drink, I’m all about the food. What a beautiful spread. I especially like the addition of the honey comb. Makes me want to call up all of my friends and throw a party! This is a great idea. Loved the pictures too. how cute of those little crostini!!! and the cheeses look amazing. What a perfect idea, can’t get much better than bruschetta. I love this idea of a bruschetta bar! There are so many yummy parts to this spread! Yum! I love your food styling here, everything looks so good to eat! Beautiful pictures! And that pesto….love! This is such a great idea! I am definitely doing this at our next party. Love your photos of this, so many beautiful colours, patterns and textures. It’s the sort of picture you can look at again and again and not get bored of. 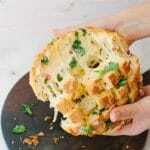 This looks amazing, perfect for easy entertaining, I really love that creamy cheese and those grilled polenta rounds! How do you stuff the burratta? I love simple dinners, and this takes the cake. Everything about this sounds delightful. thank you Whitney, I also think of this as the lazy girls dinner,aka Me, I love them ha! Oh, I love everything little piece! I definitely should be doing this soon!